Sarah M. Brady « James McElroy & Diehl, P.A. Sarah is a family law attorney and a partner in the law firm of James, McElroy & Diehl, P.A. Sarah’s practice focuses on assisting her clients resolve the issues that arise from their separations outside of the courtroom. Having witnessed the devastating effect of high-conflict litigation on individuals and families, Sarah became interested in enabling her clients to explore self-directed solutions to their disputes in which they feel empowered and respected. She obtained training and certification as a collaborative law attorney and as a mediator. Through the collaborative process or through mediation, Sarah urges her clients to find amicable solutions to their disputes, to maintain positive, respectful relationships with their spouses, and to prioritize functional co-parenting relationships for the benefit of their children. Sarah received her undergraduate degree from the University of North Carolina at Chapel Hill and her Juris Doctor from Cornell Law School. 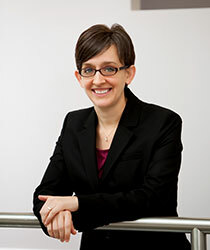 While in law school, Sarah was an editor of the Cornell Law Review, a law clerk at the Cornell Legal Aid Clinic, and a research assistant to Professor Martha Albertson Fineman, director of Cornell University’s Feminism and Legal Theory Project. Sarah has served as a volunteer attorney for the Council for Children’s Rights and is a graduate of the 2009 Mecklenburg County Bar Leadership Institute. Sarah is a certified family financial mediator, a parent coordinator, and a member of the Charlotte Collaborative Divorce Professionals.